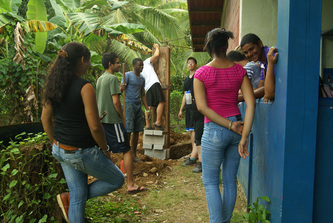 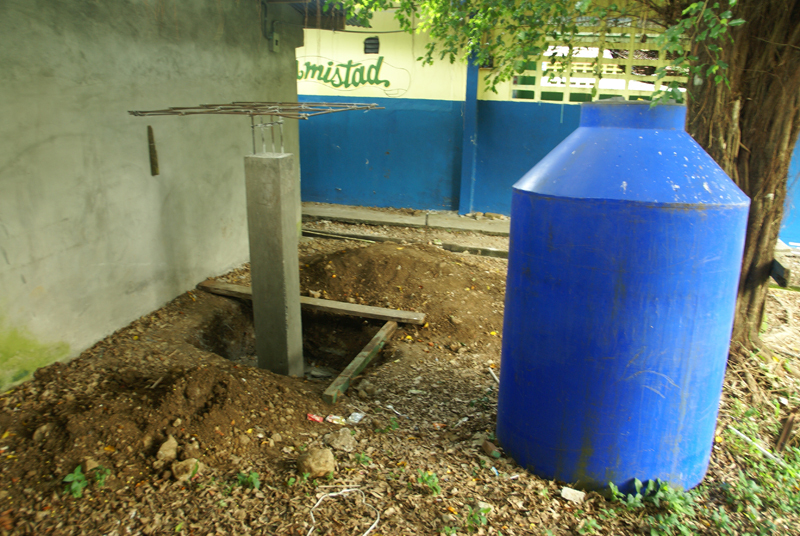 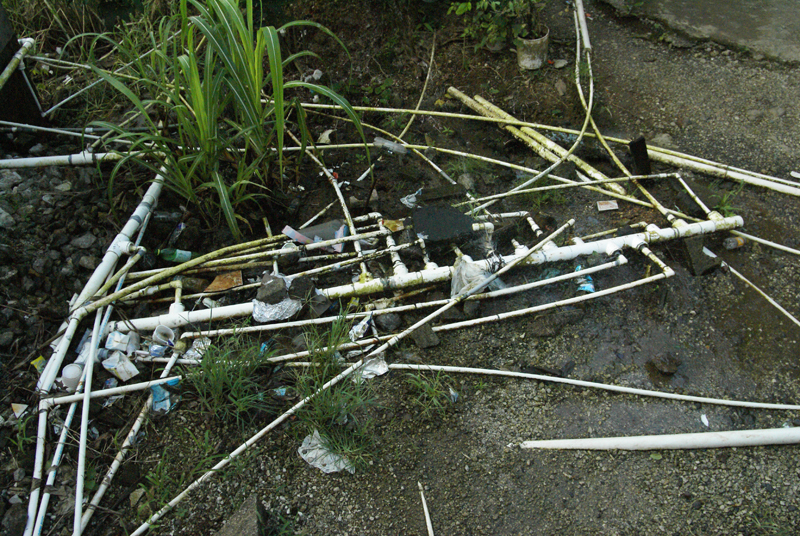 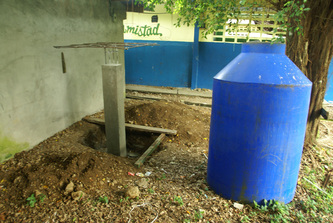 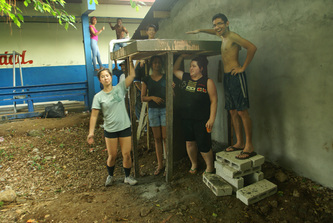 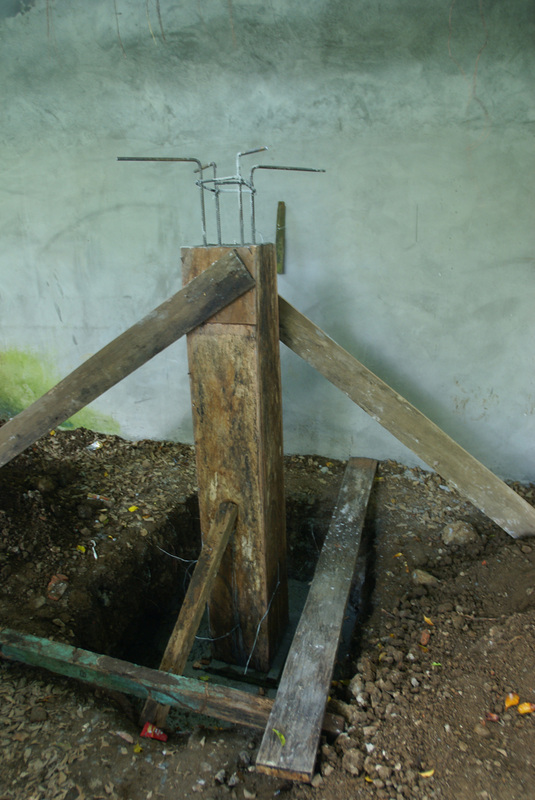 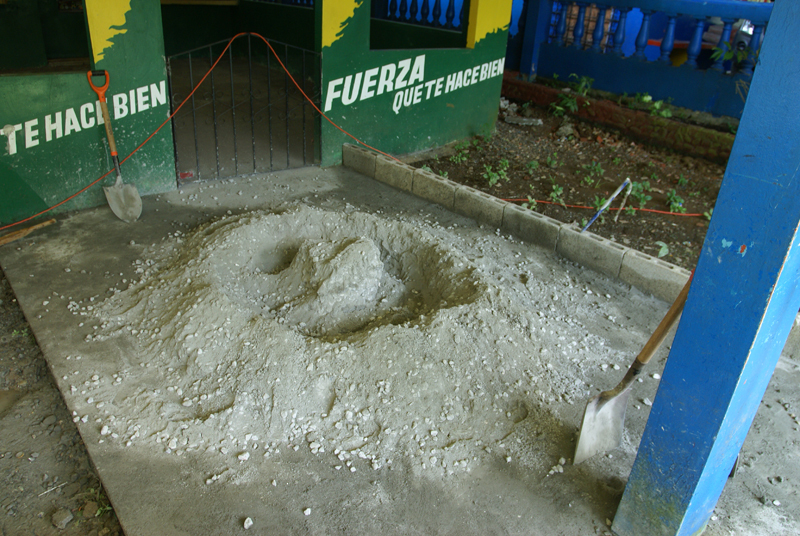 2) Install a water storage and purification system at the colegio (high school). 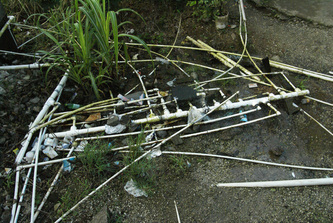 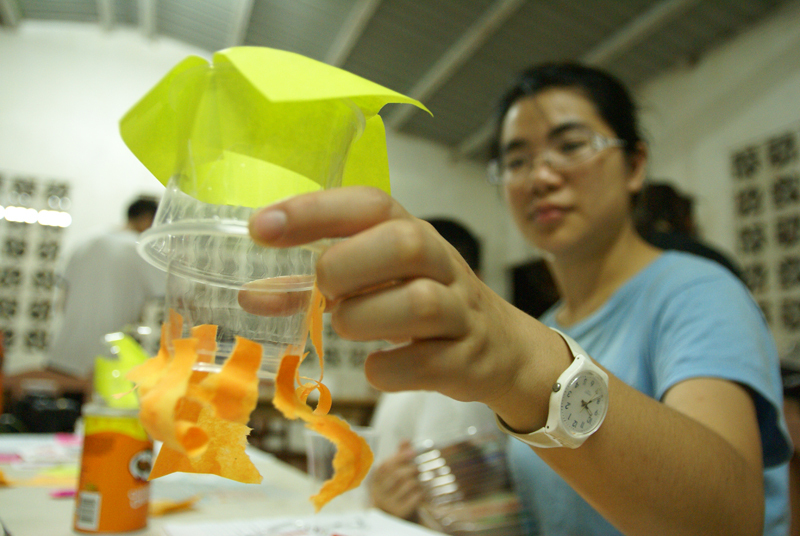 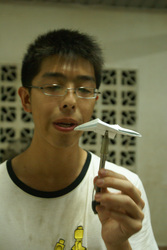 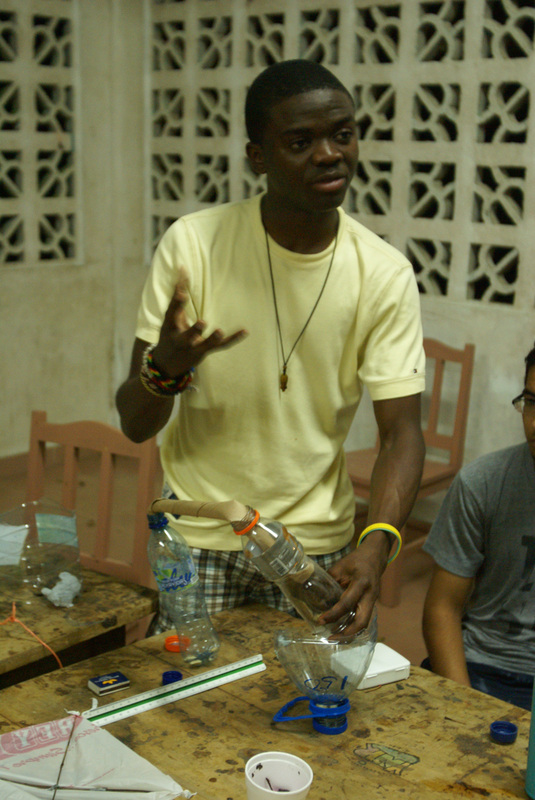 3) Teach local students about clean water and the design process. 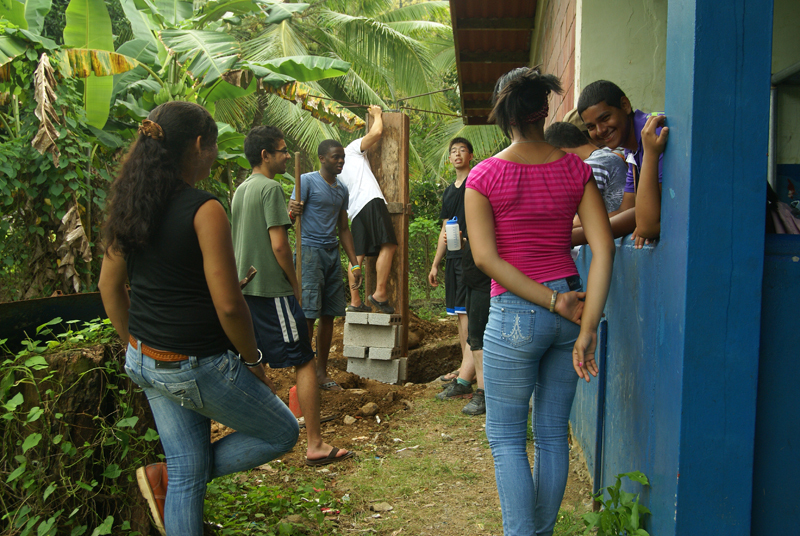 4) Work closely with the community to design new solutions to address additional problems. 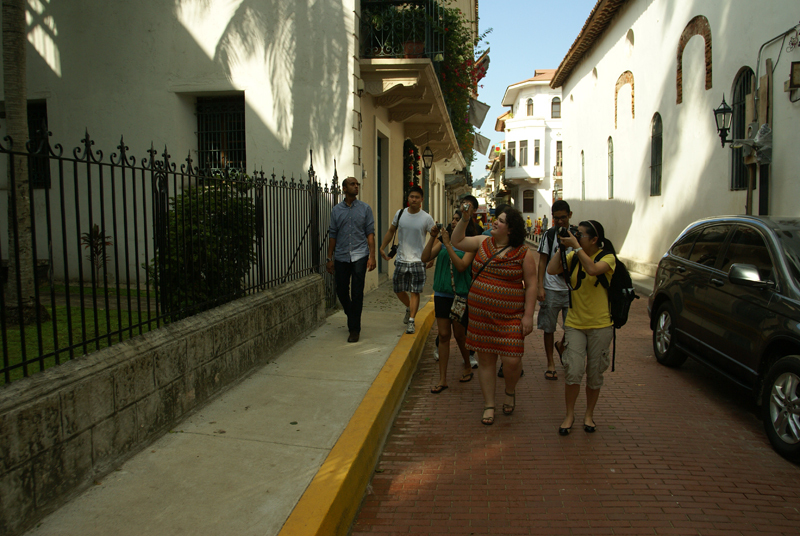 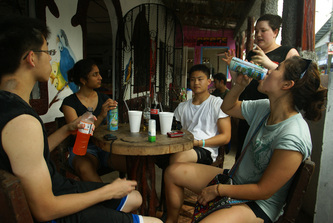 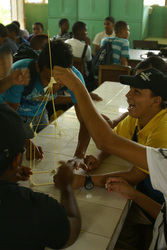 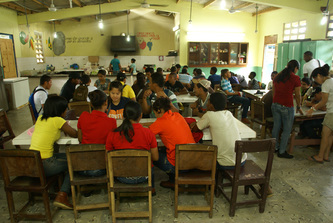 We started the program by meeting students at the airport and bringing them to our hotel in Panama City. 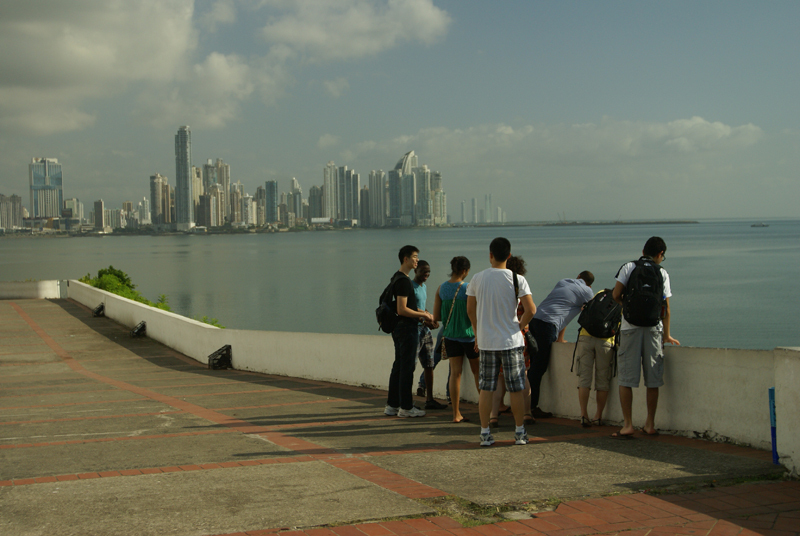 We spent the first full day touring Panama City, seeing the Canal and locks with giant cargo ships passing through, and started to get comfortable speaking and understanding Spanish (no matter the skill level!). 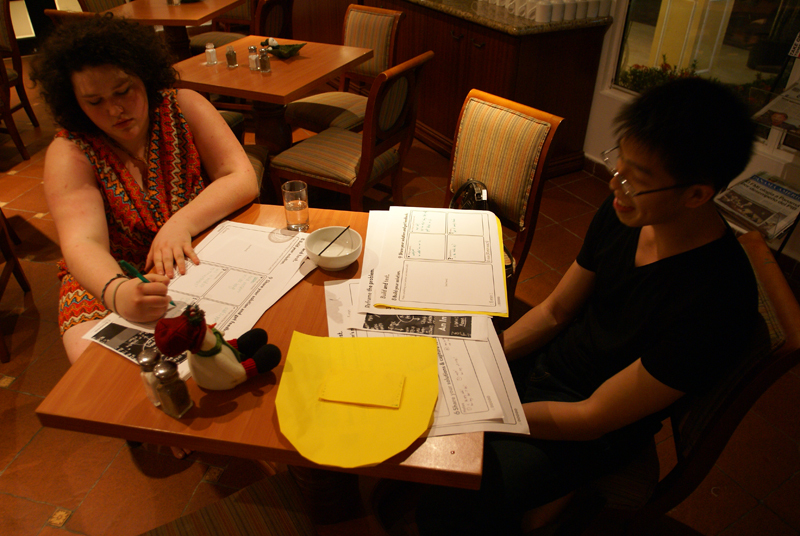 We also taught a simple design activity where everyone had to design a great new travel bag for another student. 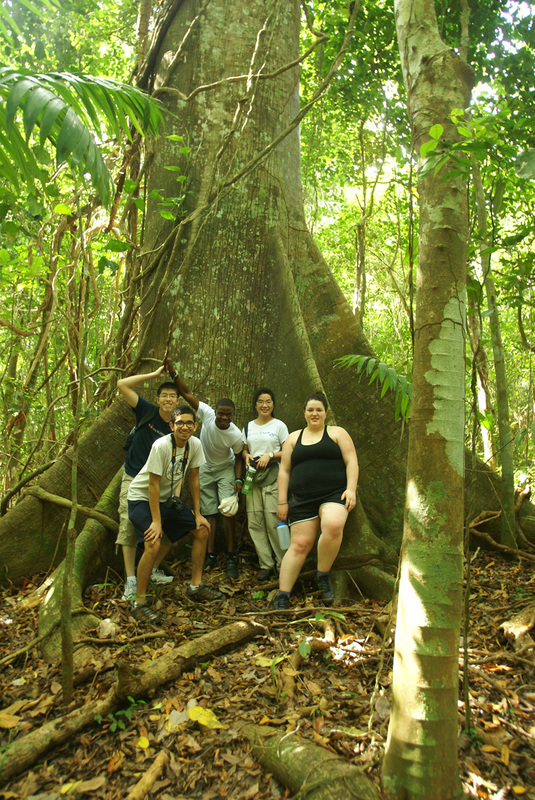 The next day, we hiked on the Camino Cruces trail to better appreciate the Centroamerican rainforest as well as the impact of the Spanish colonization. We saw some cool leaf cutter ants, heard howler monkeys, and ended up at a rainforest waterfall. 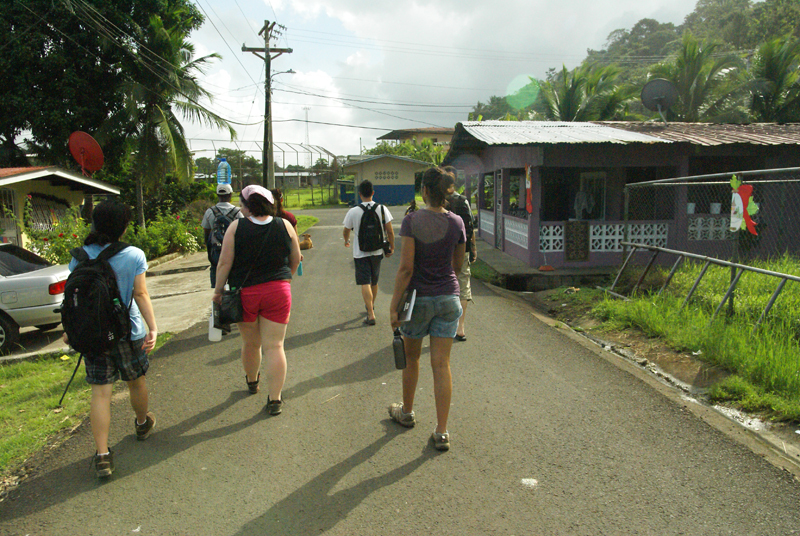 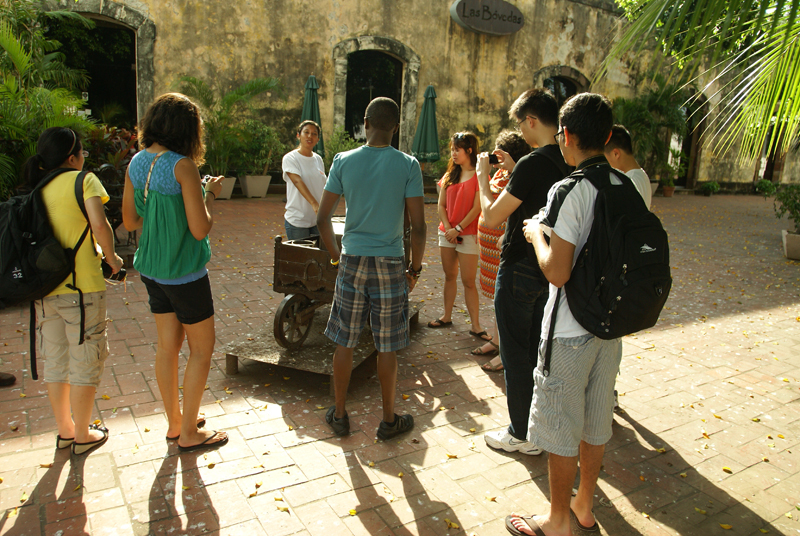 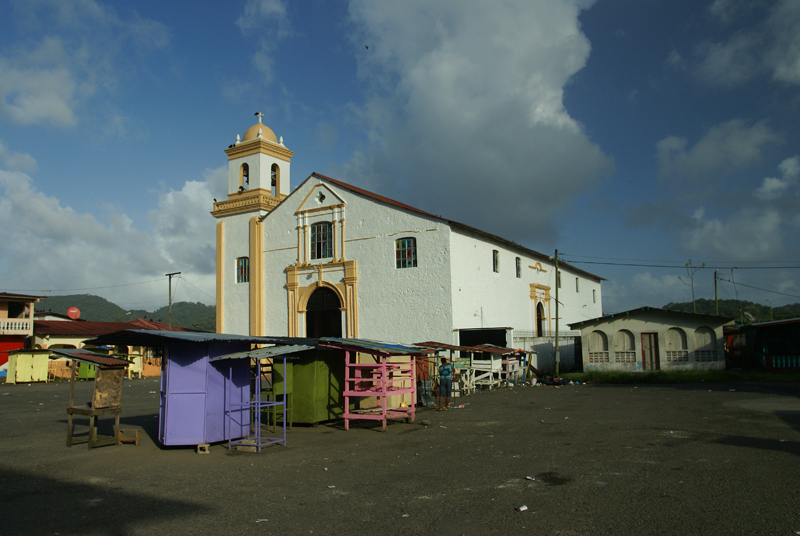 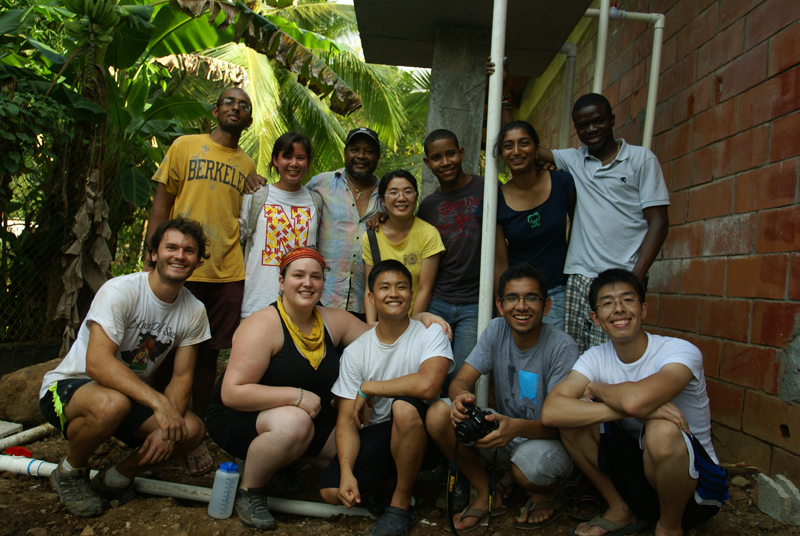 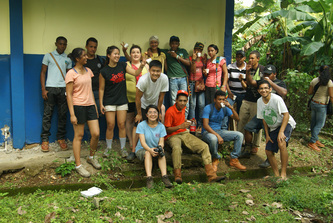 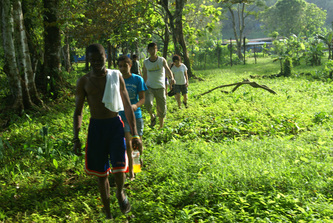 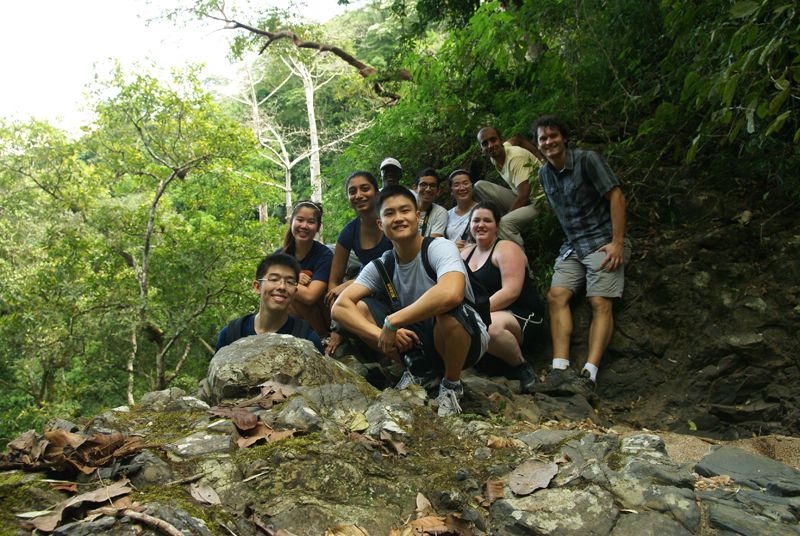 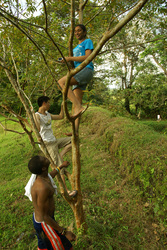 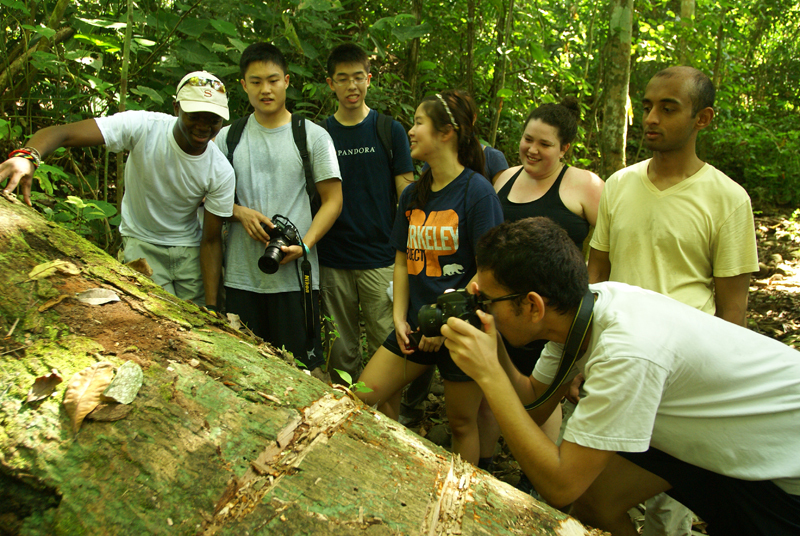 We proceeded to Portobelo on the Caribbean Sea, where the students began conducting a large-scale needs assessment. 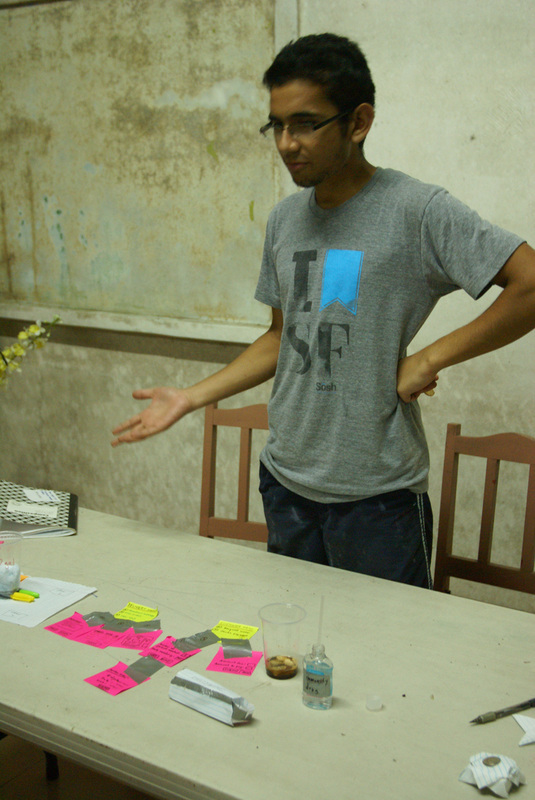 At night we would all meet, discuss the day's events and design journals, and Richard and Gautham would teach the next step of the design process. This way, the students experienced all parts of the process in one very busy week. 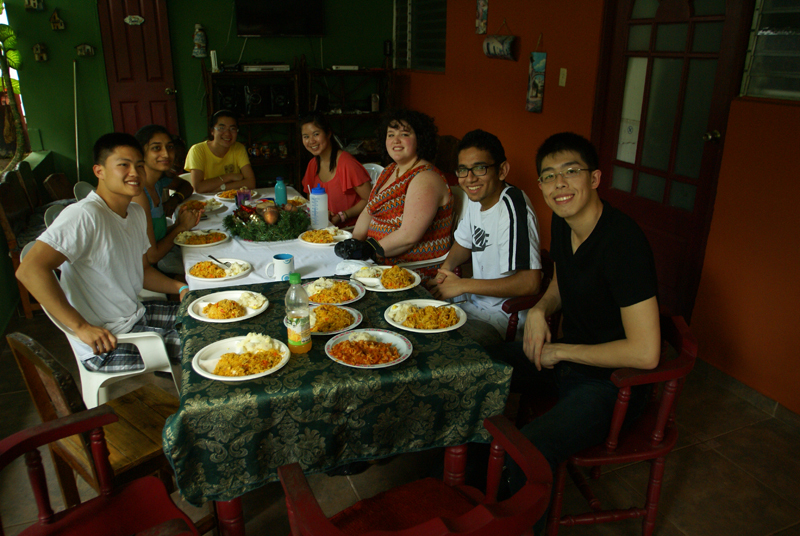 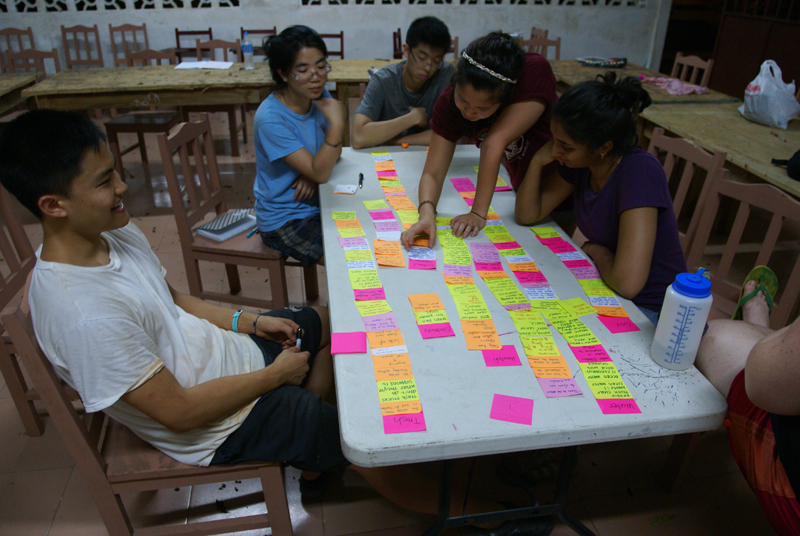 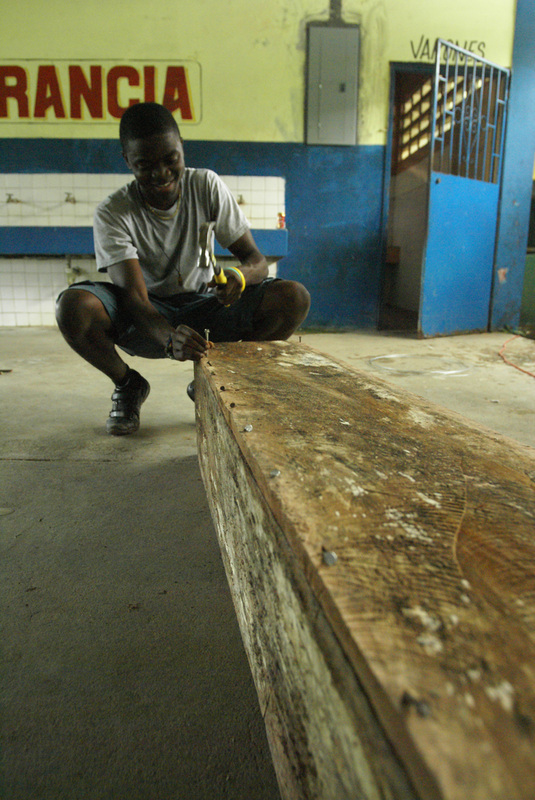 We worked very hard over the 8 days in Portobelo! We mixed concrete in front of the school's cafeteria an then hauled buckets to the two concrete platforms. 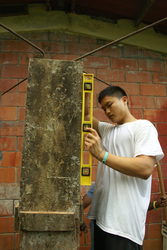 Everyone learned how to bend re-bar and form reinforcing rings for the final structures. 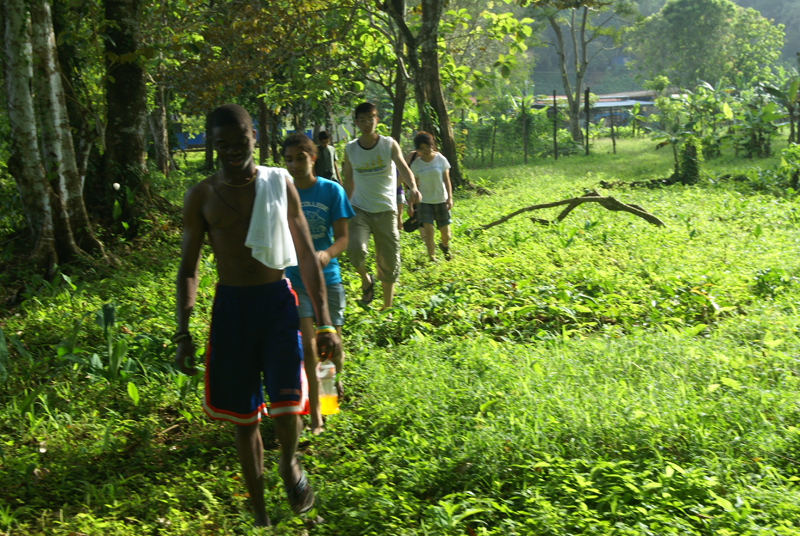 We worked closely with Eric, a construction worker, and Wilfredo, the head of the colegio's agriculture program, who helped make sure no one lost a hand. 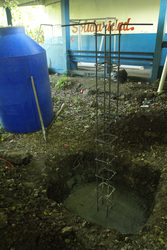 Slowly but surely, the two platforms went up (one 5ft above ground, the other 7ft!) 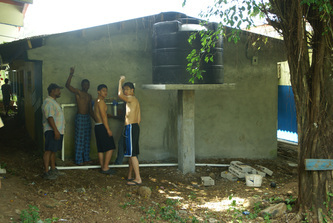 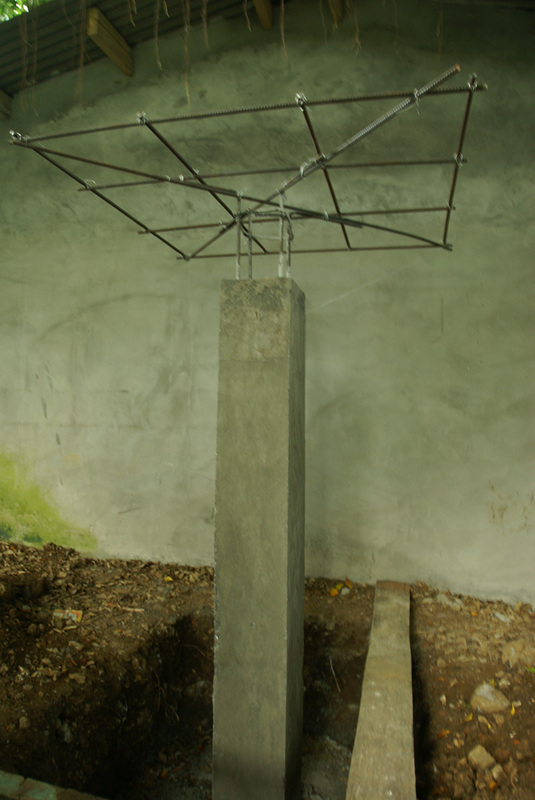 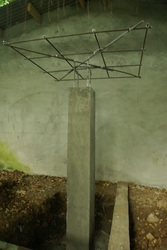 and we began to install the water tanks and piping. 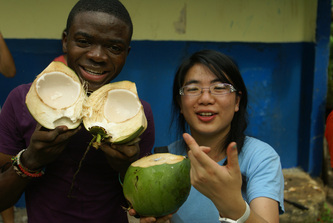 Eventually, school was back in session, and we had much more help as well as people with which to eat coconuts and just have fun. 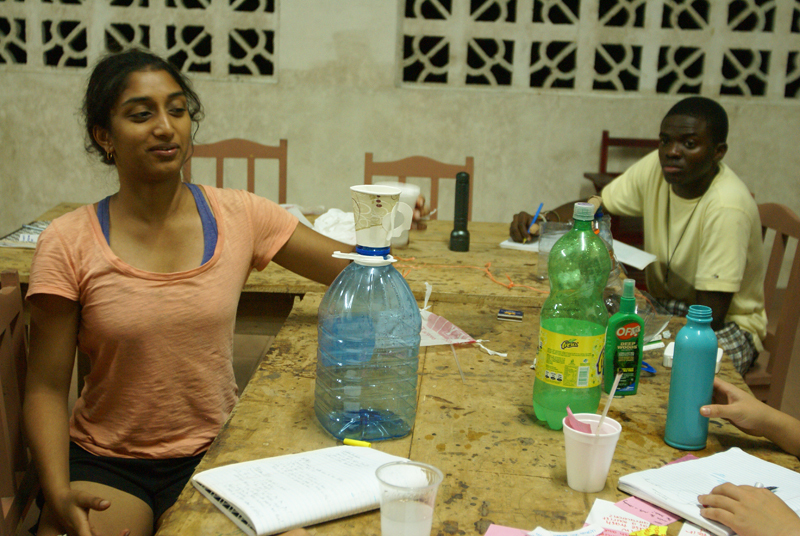 As we worked incessantly to finish up the water project, two student teams were developing new projects for the next participants: a clean water system for the town square and a way to turn plastic trash into diesel for school buses. 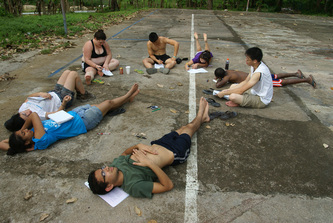 It wasn't all work. We took a boat to Playa Blanca, a remote beach with palm trees and a coral reef about 30 minutes away by boat. 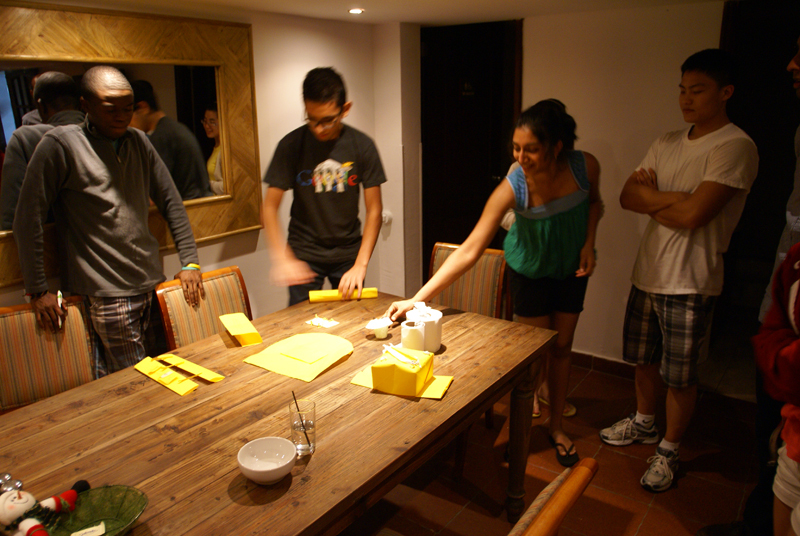 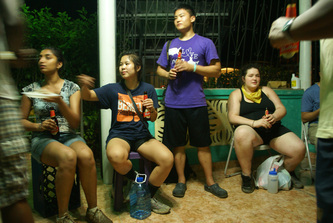 We were also treated to a really fun party by Wilfredo, Eric, and the local store owner Laura. They made sau, a local delicacy made from pickled pigs' feet, and plied us with other food and drinks as a thank you, though their efforts were no less heroic and no less appreciated by us. 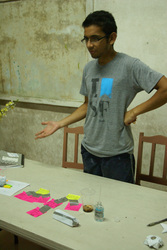 We also spent some time with the newly arrived students to give them an idea of what we're doing. We did the very fun marshmallow tower activity, where the goal is to get a marshmallow as high in the air as possible using only tape, 20 spaghetti pieces, and string. We also spent some time teaching Wilfredo and several students how to test water for bacteria and chlorine. 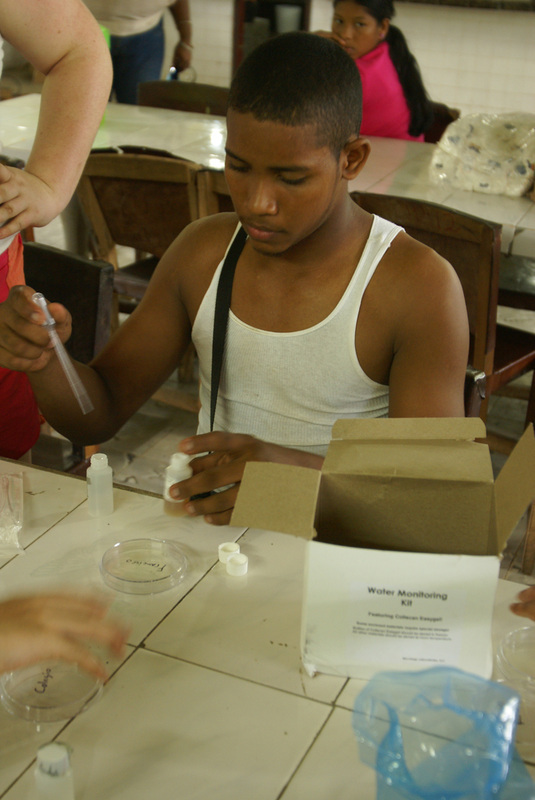 They are now doing the tests on their purified water. 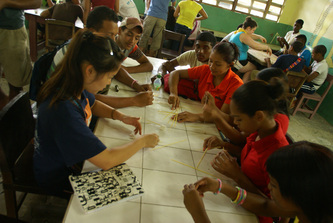 Education works!